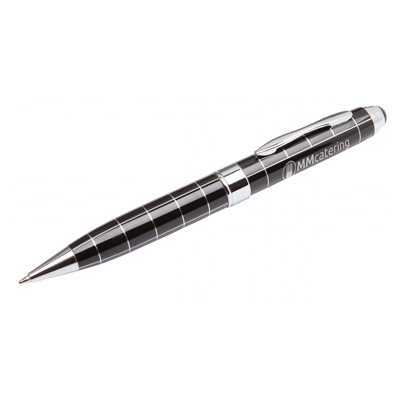 Description:A traditional shaped pen with unique silver contrast lines. Available in black with chrome trim. Optional packaging available.